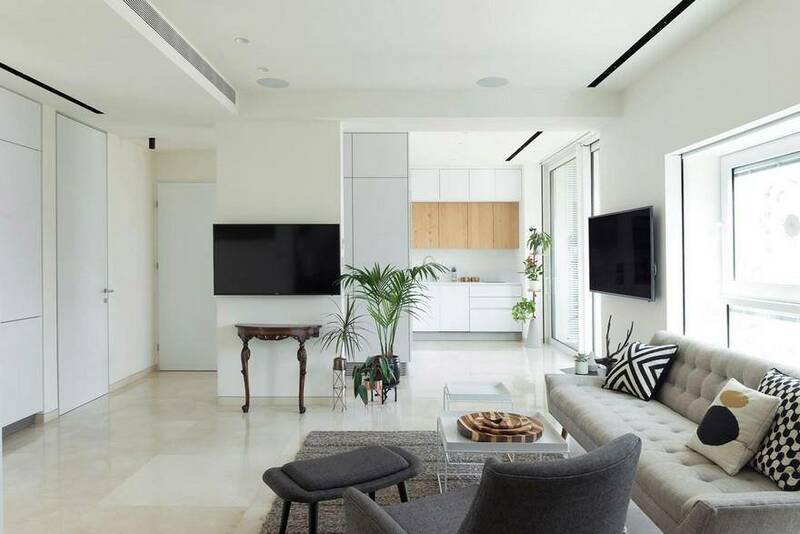 Located by the beach of busy Tel Aviv in a nostalgic old building, the 72 sqm apartment had been fully redesigned by MGA | Meirav Galan Architect, as a ‘Piece of Peacefulness by the sea’. 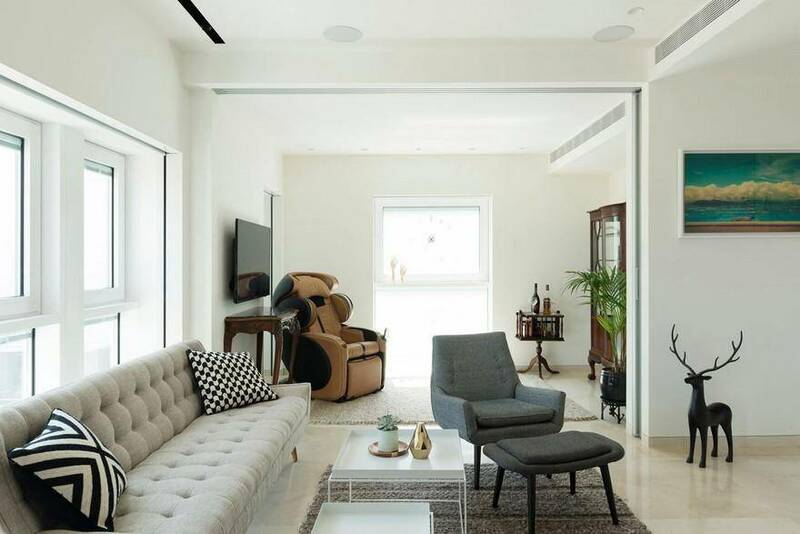 The nostalgic building, undergone a full renovation recently, was built in 1938 at “London Square”, during the British Mandate and had encompassed three residential floors and a stylish famous coffeehouse, facing the Mediterranean Sea. 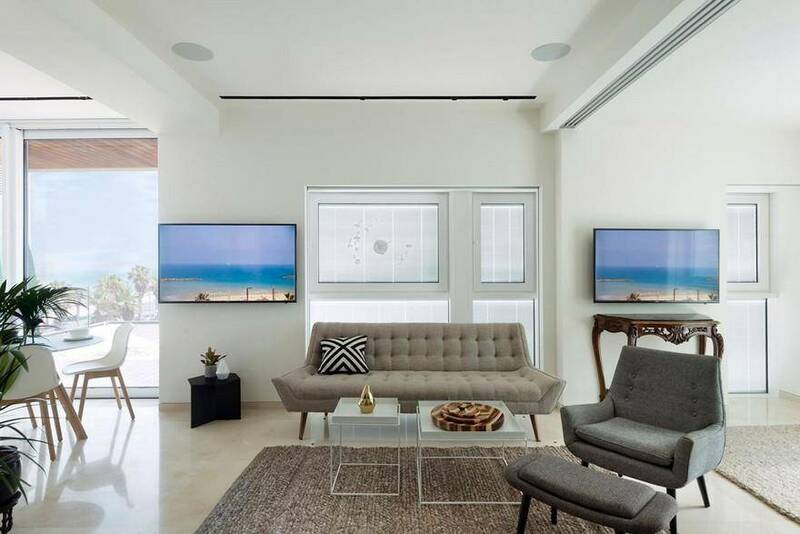 The apartment, designed by Meirav Galan, was renovated while the building was under a reconstruction, which included a redefinition of the apartments’ layouts and a redesigned exterior skin, plentiful of big windows and new balconies facing the sea. 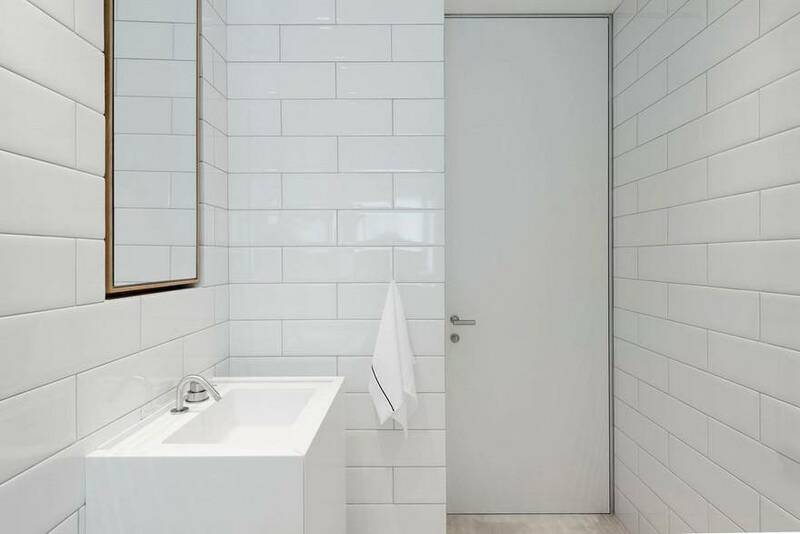 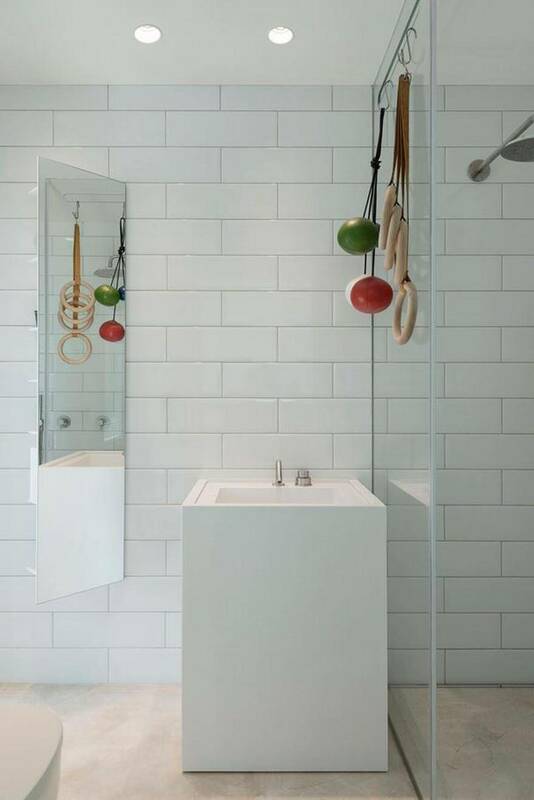 The owner of the apartment (a retired manager of fitness and pool facilities), had requested an ensuite master bedroom with a small work-station, a guests’ room, a guests’ bathroom, a small kitchen and a living room. 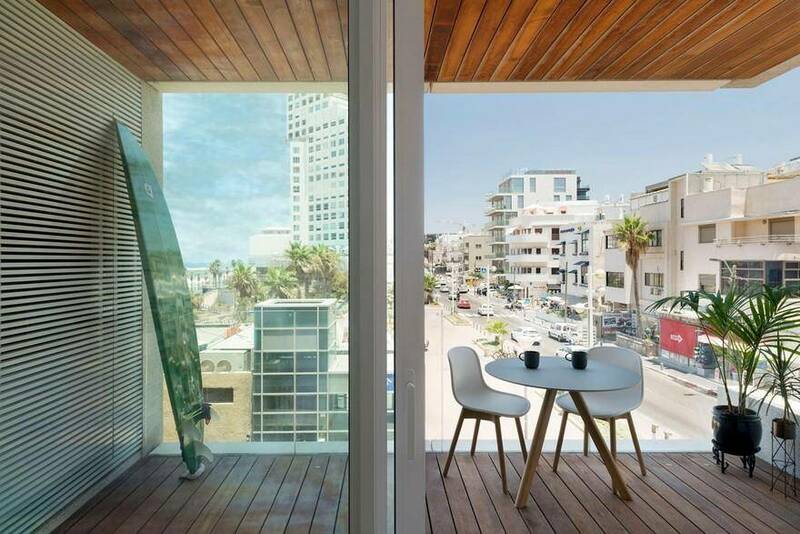 There are many small apartments in Tel-Aviv, but not as many with a flood of natural light and a sea view. 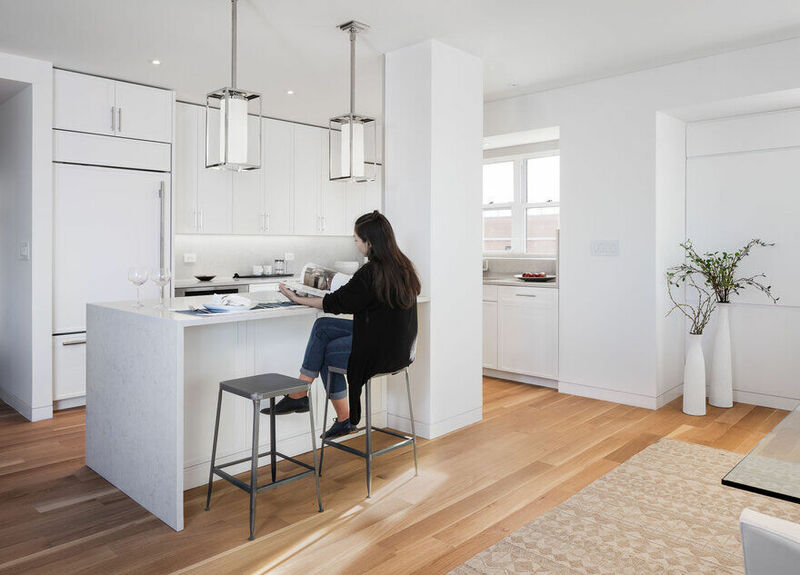 The architect’s main goal was to succeed in creating a spacious airy apartment that enjoys the natural light and view, while answering all of the client’s requests –in a small space with many columns and beams (old and new) and a totally new façade containing mainly full height windows. 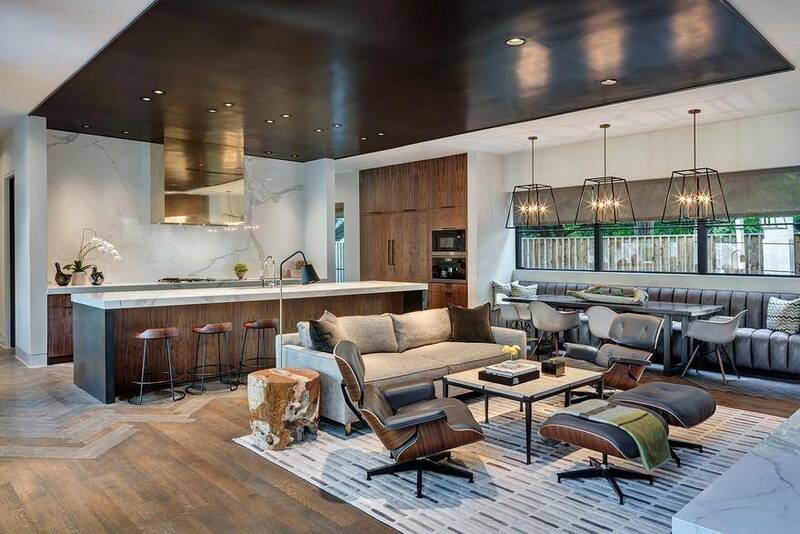 Fulfilling the design goals was achieved by creating a living room that acts as a ‘Main Plaza’, connecting all functions directly without any spare passageways and enabling the light to flow naturally. 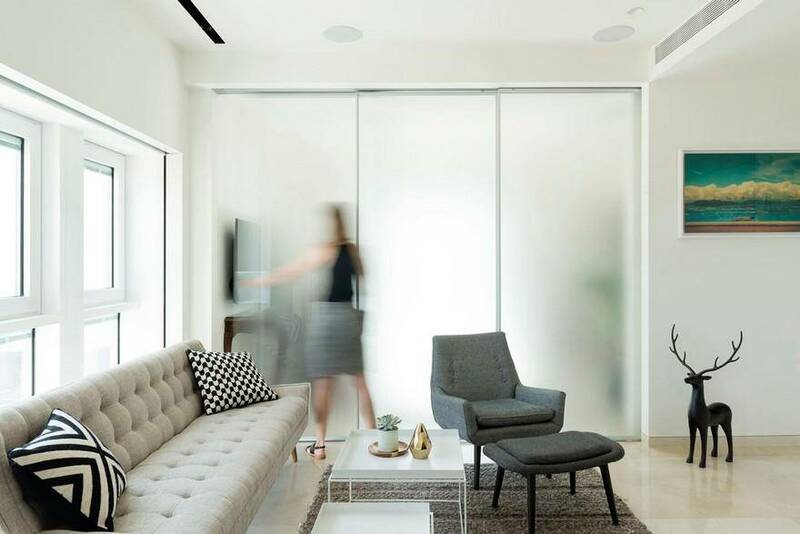 The guests’ room was designed as a flexible space, connected to the living room by three translucent sliding doors. 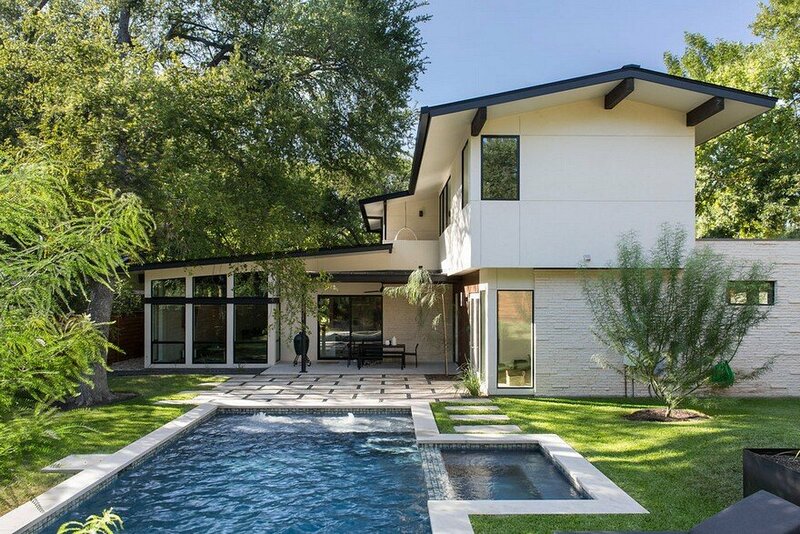 Their disappearance into a built pocket enables a larger and a brighter ‘Main Plaza’. 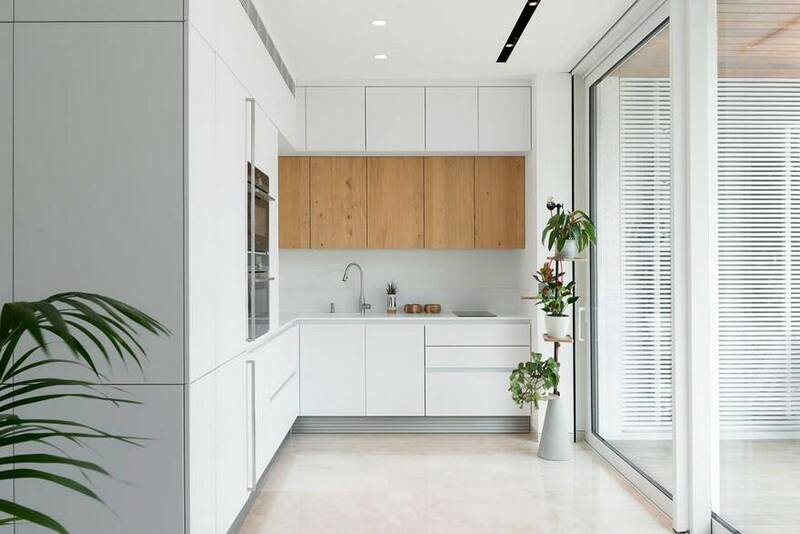 The kitchen’s design is minimalist and its cabinets follow the apartments’ silhouette, to ensure the natural flow towards the sea view balcony. 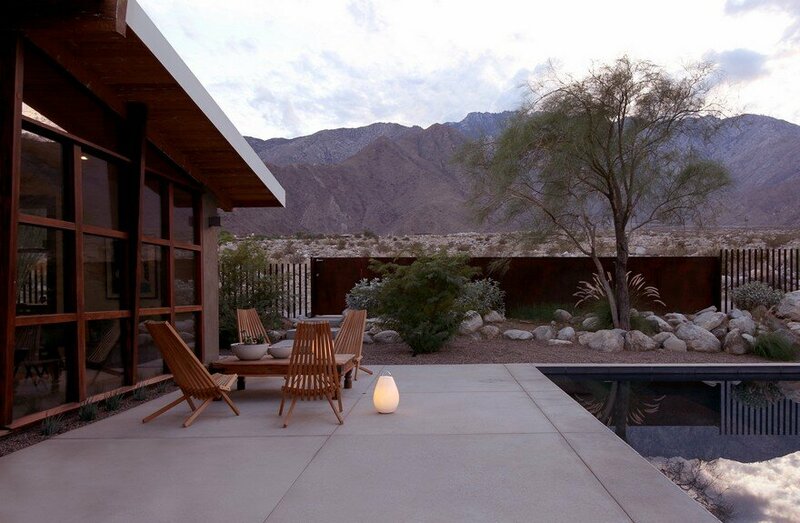 A light dining table serves both as an indoor and an outdoor table. 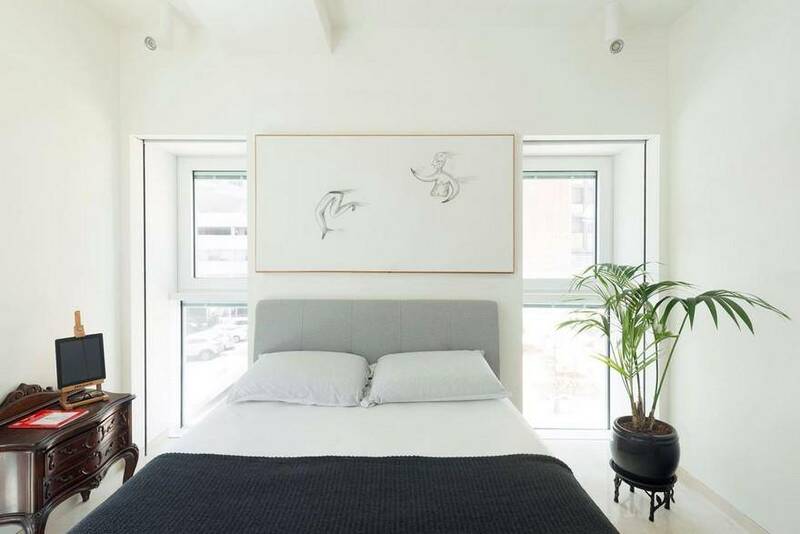 In contrast of the openness and flexibility of the kitchen and guest’s area, the private area of the master bedroom and bathrooms, is separated from the ‘Main Plaza’ by a clean homogeneous ‘White Wall’. 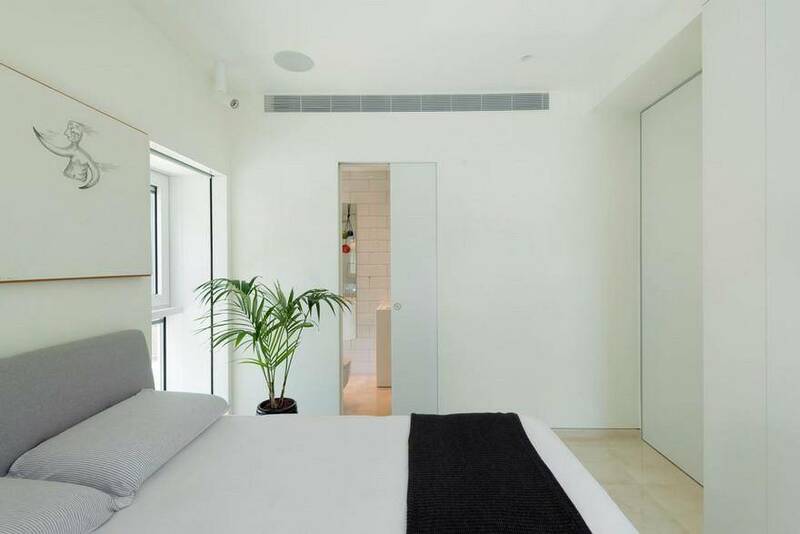 Being an integral part of the living room, the ‘White Wall’ had to be aesthetic and quiet, therefore its minimalist floor to ceiling flush doors and storage cabinets. 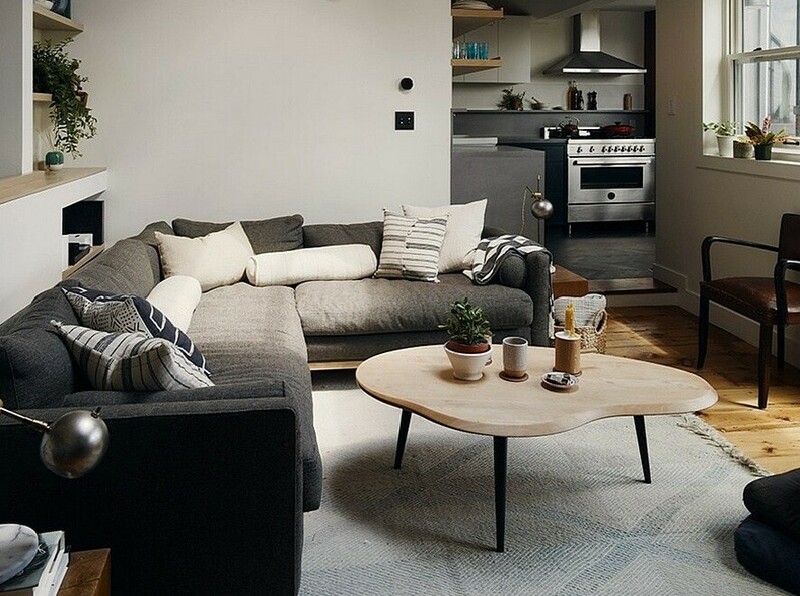 Along the desire for an airy feeling was the desire of achieving a sense of peacefulness at the heart of a very crowded cityscape. 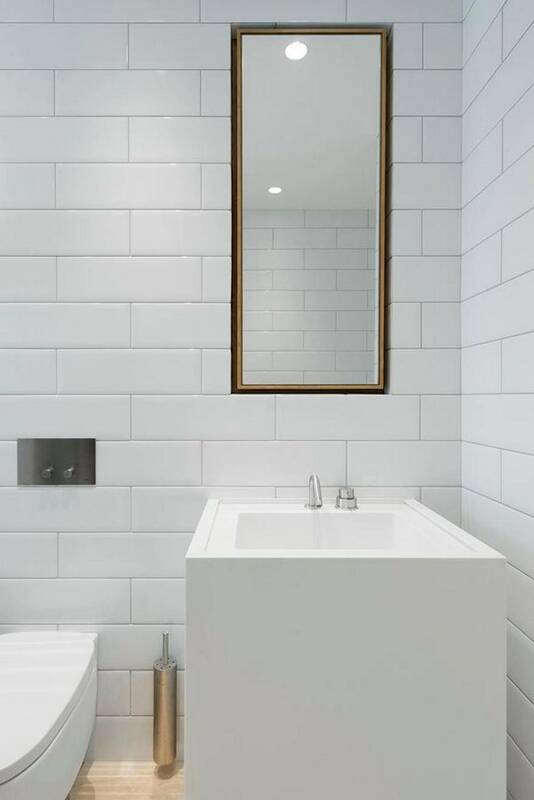 Clean lines, minimalist details, a lot of white and neutral colors were the basis of the design as well as many small plants, all fulfilling these desires. 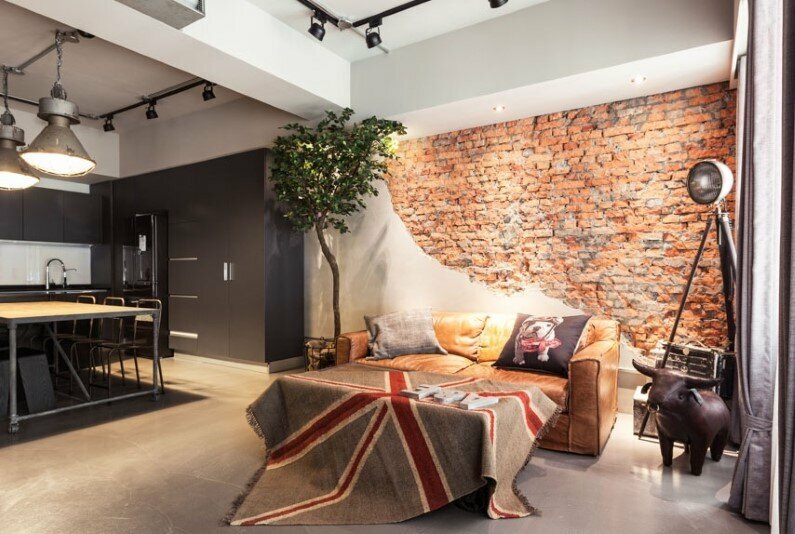 The furniture is a combination of antique inherited pieces alongside new contemporary items, purchased mostly in Bangkok, where the owner lives several months a year. 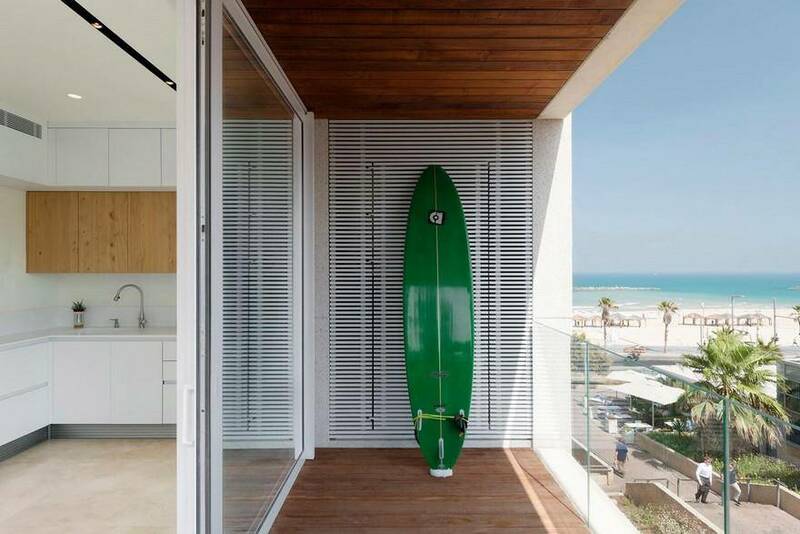 The client, who’s been living by the sea, surfing and breathing it since always, wished to feel its presence at all times, even while not in his balcony. 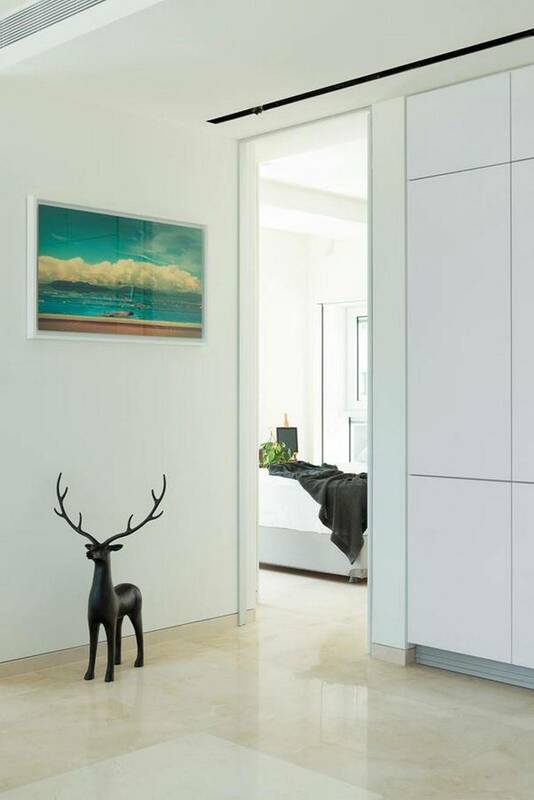 Four screens connected to an outdoor camera, overlooking the sea, show that beautiful calm view every single minute.